2017 has been an energetic year for the ICE LAW Project. We saw our sub-projects hold their first meetings, hosted sessions at major international conferences, conducted our first Annual Meeting of the Project’s leadership and witnessed new researchers begin their careers. We have also started to make plans for future events and projects, and we have several exciting announcements to make in this regard. 2016 closed with a community Talking Circle on Arctic search and rescue at Sand Point (Alaska, USA) led by Jessica Shadian of the Indigenous and Local Perspectives sub-project. Organised in connection with the Aleut International Association, with additional support from the US National Science Foundation, the meeting led Sand Point residents to consider gaps that currently exist in emergency preparedness and revealed an urgent need to establish direct channels of response with external authorities. Anna Stammler-Gossmann also began preparatory fieldwork for future research on fishing practices in Bugøynes (Norway). In April, the Law sub-project, led by Timo Koivurova, held their first workshop, Laws and Regulations Currently Guiding Human Behaviour in Icy Environments, at the University of Lapland (Rovaniemi, Finland). Following presentations by speakers from varied legal backgrounds, the workshop concluded that the governance of sea ice and any other geophysical environments should be approached from the foundations of current legal practice. Less than two weeks later, a joint seminar, Rethinking Perspectives on Arctic Issues in 2017, was held at Dalhousie University (Halifax, Canada) by the Migrations and Mobilities sub-project in association with the Master Mariners of Canada. Coordinated by Claudio Aporta, Aldo Chircop, Stephanie Kane and Leah Beveridge, the seminar initiated an important dialogue between key players, progressing improvements in safety, preparedness, and response, and engaging with Arctic communities on such topics. 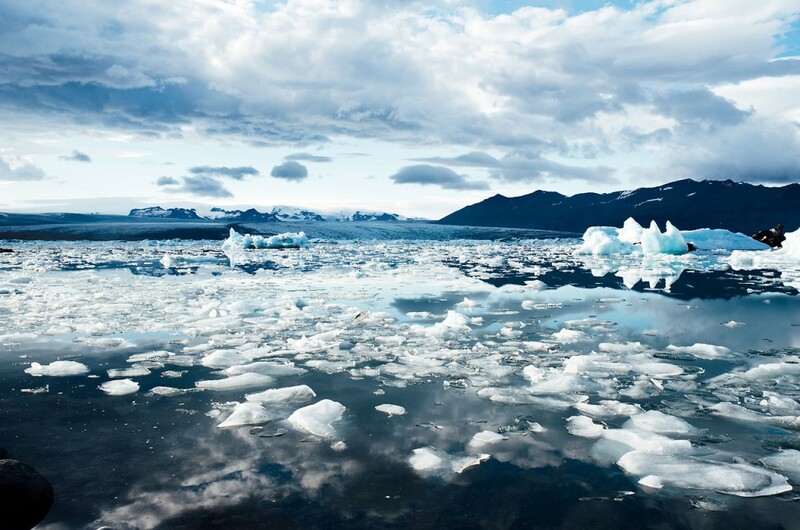 In May, Gavin Bridge led the first Resources sub-project workshop, Anticipating Abundance: Economizing the Arctic, at Durham University (UK) with the aim of considering how the bio- and geophysical materialities of polar environments enable and disrupt an anticipatory economy. Participants are currently collaborating on a specialist publication that will explore this topic from geographic, economic, anthropological and cultural perspectives. Later that month, Stuart Elden’s Territory sub-project held its first workshop, Territory in Indeterminate and Changing Environments, in association with ACCESS-Europe at the University of Amsterdam (The Netherlands). The workshop aspired to begin thinking about how theories of territory can better account for the complexities of the geophysical. While the workshop did not provide any definitive answers, it did show the fertility of the diverse empirical work being done, and the usefulness and limits of the theoretical terms being discussed. During the summer, the Project had a strong presence at two major international conferences. We hosted a pair of sessions at the International Congress of Arctic Social Science in Umeå (Sweden), with papers and discussion focusing on the challenges and opportunities that emerge when southern institutional, legal, and social norms are extended to the world’s frozen regions. Similarly, we held a session at the Nordic Geographers Meeting in Stockholm (Sweden), which invited participants to explore the challenges that emerge when notions of territory, law, resources and mobility inherited from temperate, continental areas are applied to the Arctic. We also held our first Annual Meeting in Umeå and agreed that the Project’s network is most productive when dialogue within the sub-projects is coupled with dialogue across them. We are now working to open up opportunities for focused collaboration between the different sub-projects. In light of our discussion at the Annual Meeting, the Territory sub-project held its second workshop, Territory, Law and the Anthropocene, at Warwick University (UK) in December with input from the Law sub-project. Building on discussion from the first Territory workshop held in Amsterdam, the Warwick workshop questioned the extent to which we need to rethink our way of theorising territory, and the legal-political regimes that govern it, in light of the results of anthropogenic climate change. 2017 has also been a rewarding year for two early career researchers who have participated in the Project’s events. Ingrid Medby successfully defended her doctoral thesis, “Peopling the State: Arctic State Identity in Norway, Iceland, and Canada”, and is now Lecturer in Political Geography at Oxford Brooks University (UK). Rachael Squire was likewise awarded a PhD for her thesis, “‘The last of earth’s frontiers’: Sealab, the Aquanaut, and the US Navy’s battle against the sub-marine”, and is now Lecturer in Human Geography at Royal Holloway, University of London (UK). Looking ahead, 2018 and 2019 offer many opportunities for the ICE LAW Project’s network to develop new relationships between different disciplines. Following a successful application to the Leverhulme Trust, we are delighted to announce that a new doctoral training centre for Arctic research will launch in 2018. Led by ICE LAW’s Director, Phil Steinberg, the Durham Arctic Research Centre for Training and Interdisciplinary Collaboration (DurhamARCTIC) will support doctoral candidates at Durham University conducting research projects relating to interdisciplinary understanding for a changing Arctic. We warmly encourage you to make potential applicants aware of the programme, both for 2018 entry and beyond. Successful applicants will receive a generous financial package, including full fee waivers, a maintenance stipend at the standard Research Council UK rate (currently £14,553 per annum for 2017/18), and financial support for research and conference attendance. Applications are due no later than 4:30pm (UK time) on Friday 2 February 2018. Short-listed students will be invited to Durham (at Durham’s expense) for a compulsory interview, which will likely take place in late February. Initial offers should be made by early March. More information can be found at the project website, http://www.durham.ac.uk/arctic, which should be live in early January. Further details are also available on our temporary website, https://durhamarctic.wordpress.com/. We are also pleased to announce that the final ICE LAW conference is scheduled to be held from Thursday 25 through Saturday 27 April 2019. We will issue an open call for papers in 2018 and would welcome presentations that resonate with any aspect of the ICE LAW Project, as well as those that aim to achieve synthesis between the Project’s different themes.